A series of films created in collaboration with artist, Jarrett Key. 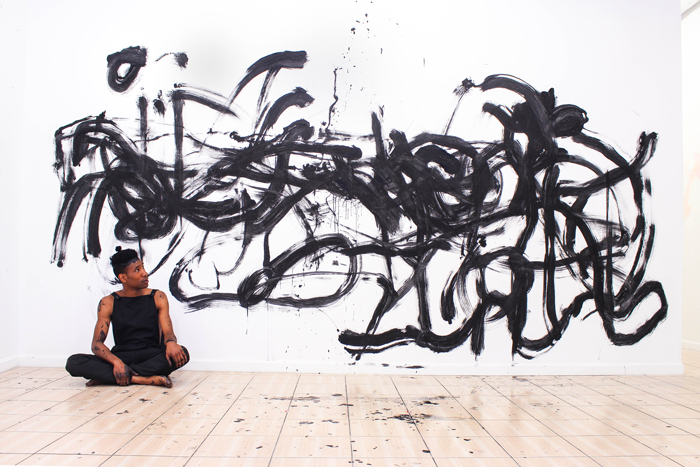 Jarrett’s hair painting series marries performance and visual art through codified movement, tempera paint and a ponytail, straightened with a hot comb. Our collaboration is an act of translating, documenting and reinterpreting history with an affirming gaze. These films provide a frame for an intimate exploration of growth, self-empowerment, and queerness in the Black community.